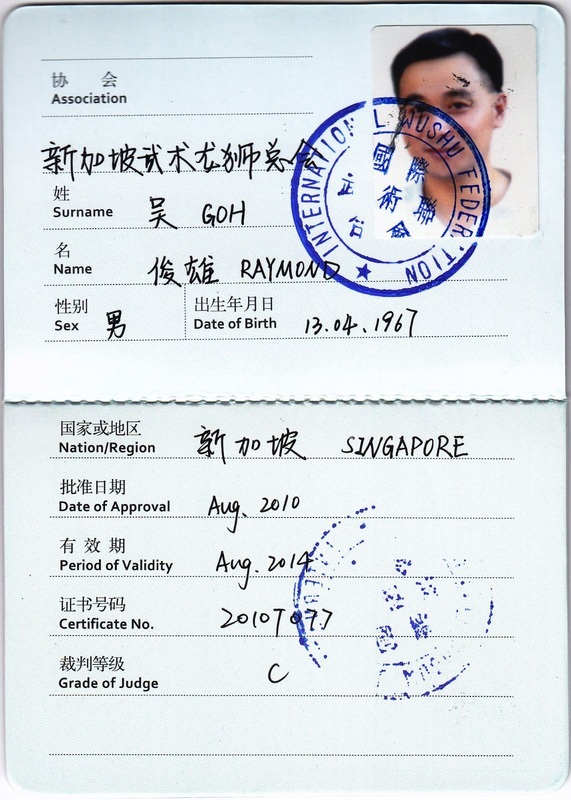 Instructor Raymond started training in the Sum Nung Wing Chun System under Sifu Song of the Johnny Song Wing Chun Academy （宋均咏春国术馆）fka Guangzhou Wing Chun Academy（广州咏春国术馆）in mid 2007 during one of his visit to Guangzhou. 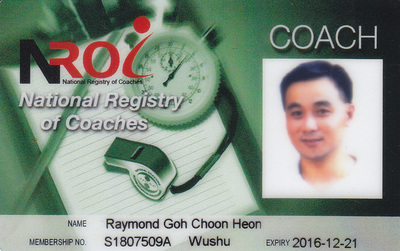 Since then Instructor Raymond has been training diligently under him frequently for short weeks or months each time he visited Guangzhou or vice versa till today. 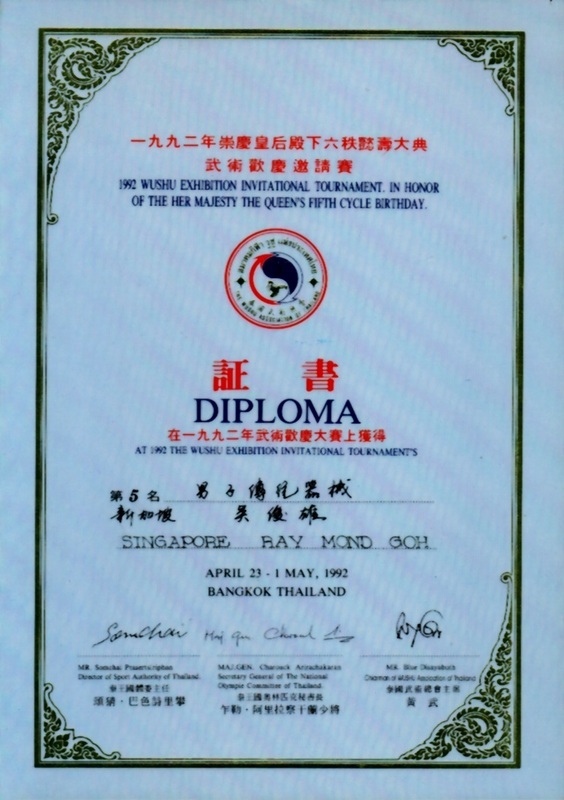 He had also trained under 2 other Sifus in the Sum Nung and Ip Man Wing Chun Systems for short periods of time in Singapore. 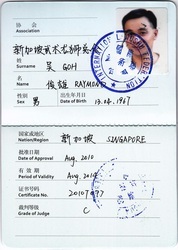 Instructor Raymond regularly travels back to China to train and learn new arts to continue to better himself. He trains harder each trip and never fail to try achieve a even higher level of proficiency in this art. 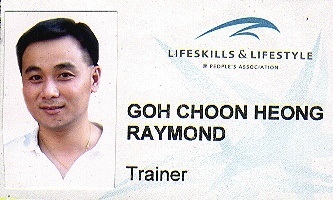 Instructor Raymond had quite a rich experience in few martial arts since young. 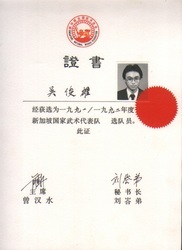 His very strong physical foundation, experiences, vast knowledge especially in various traditional Chinese martial arts and coaching experiences over the decades had enabled him to pick up the system swiftly and coupled with his coaching exposures had elevated him onto the instructional stage within a short few years. 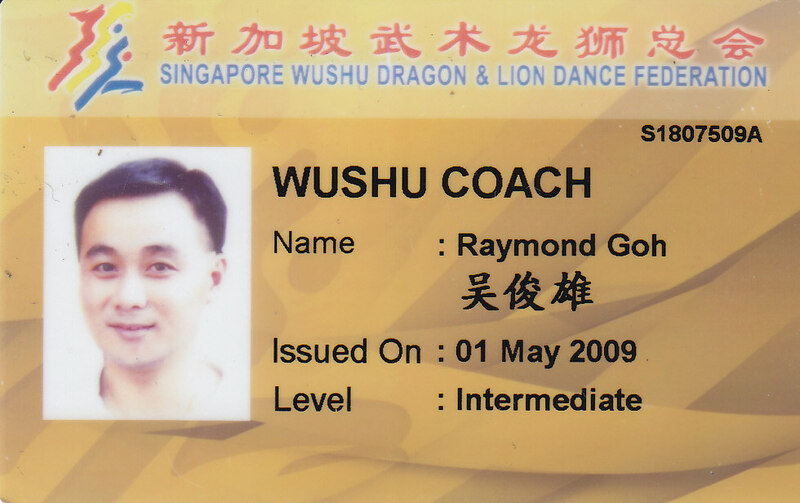 Instructor Raymond started his Wushu official training in 1979 at the age of 12 from Sifu Loh Joo Han （卢子云师傅），a renowned master in Xing Yi Quan（形意拳）and Liu He Ba Fa（六合八法）in South East Asia，learning the Northern Shaolin Martial Art（北少林拳）in school for 5 years. 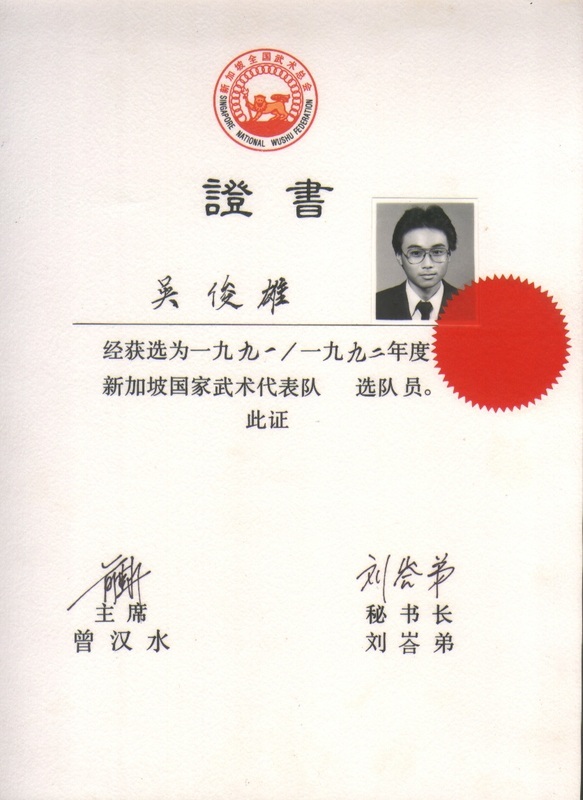 He was also trained in the southern art Zhou Jia Quan / Jow Gar Kuen（中外周家拳）under the tutelage of Sifu Peter Liew Chin Khoon（刘镇坤师傅）and Taekwondo. 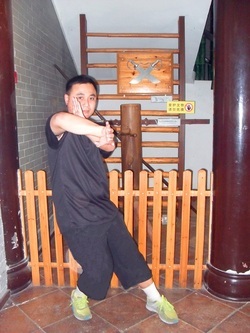 While Northern Shaolin laid the foundation in his kicks, Jow Gar Kuen laid the foundation of his southern style especially in stances and footwork. Through the years，Instructor Raymond had won multiple Overall Champions in Southern Style （南拳类三项全能冠军）at the Singapore National Wushu Championship（全国武术锦标赛）winning over more than 100 competitors in each of the 3 events. 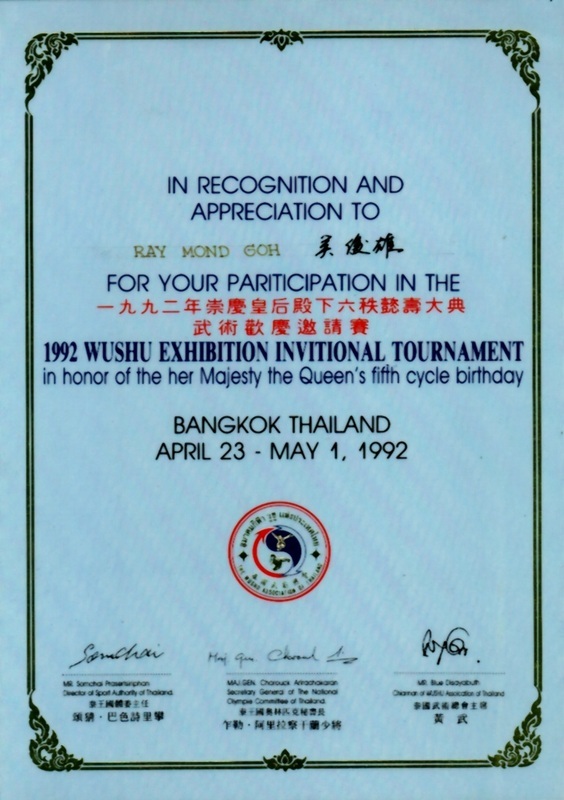 He also participated and fought in the National Chinese Sanda Tournament in 1990 and was enlisted into the National Team in 1991 and represented Singapore in a few Regional Events and won numerous medals for the country. 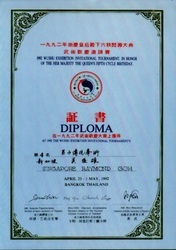 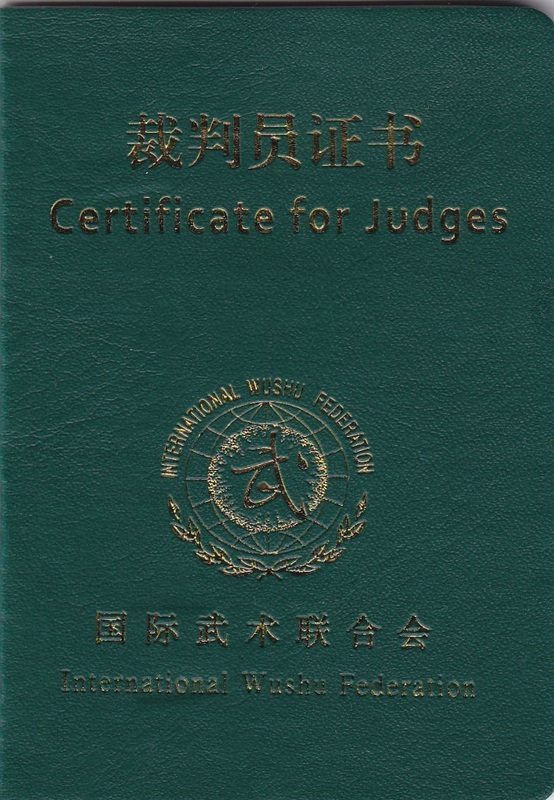 At the same time，he had attained the National Wushu Instructor License awarded by a panel of senior judges consisting of masters of various Chinese Martial Arts styles in Singapore，the youngest in history at that time. 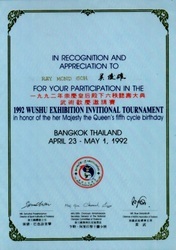 He retired from his sports career in 1994 after the 17th S.E.A. Games held in Singapore and has been coaching since then. 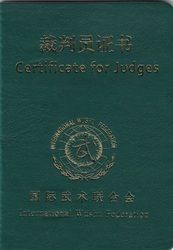 He was awarded the International Wushu Judge qualification by the International Wushu Federation, China in 2010.